Don’t dismiss them as ‘crackpots’: Who are Canada’s yellow vest protesters? 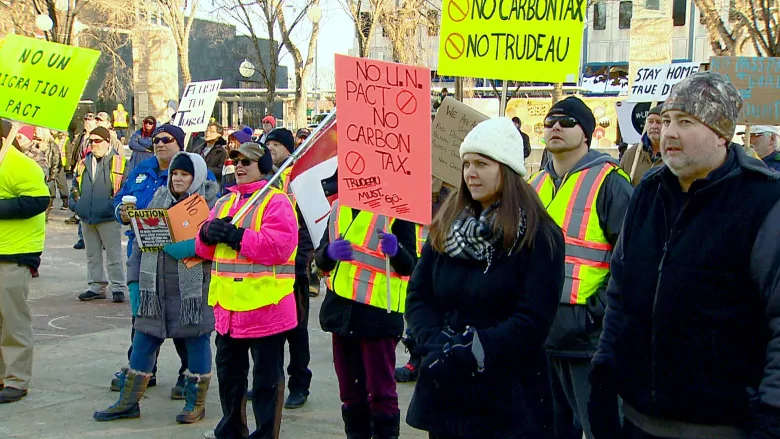 This weekend in Edmonton, protesters wearing bright yellow vests will gather at the Alberta legislature. Just like they did last weekend, and every weekend before that for the past month. Some protesters may stand at the podium shouting conspiracy theories about how powerful Jewish families control the world, as one man did at a rally at the Alberta legislature on Jan. 5. This CBC article does dismiss them by highlighting every fringe character they could find who sought company at a Yellow Vest protest. Assassination by the most marginal of associations – sharing oxygen on planet Earth. How come they never highlight all the perverts and criminals Justin has been photographed with in this manner?.